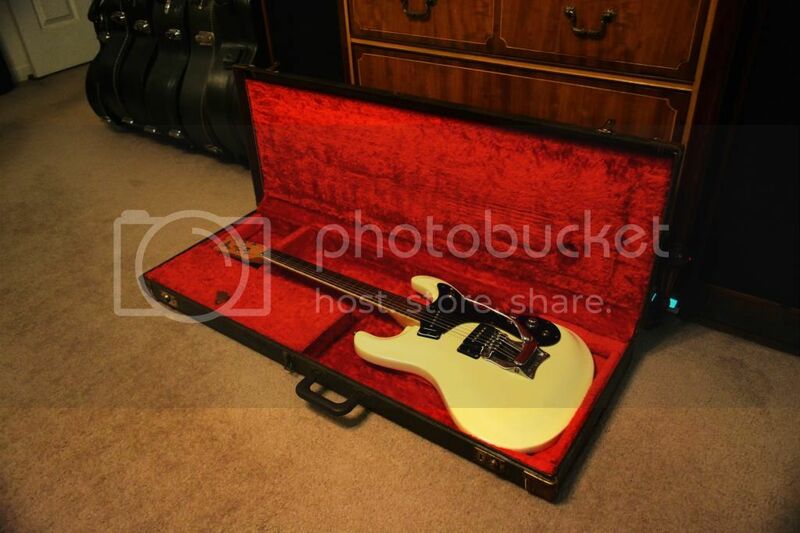 Here are a few pics of my 1964 Mosrite Vibramute that I recently picked up from the vintage guitar collection of Bob Shade, owner of Hallmark Guitars. After talking with him at length by telephone, I had the privilege and pleasure of spending an afternoon with Bob a few weeks ago, checking out several of his "For Sale" vintage Mosrites. During our time together, I eagerly "picked his brain" about guitars, guitar building, Mosrite guitars, Hallmark Guitars, etc., etc., etc.! Wow!! !......I have to say that Bob is like a walking encyclopedia when it comes to knowing about guitars, especially vintage Mosrites! 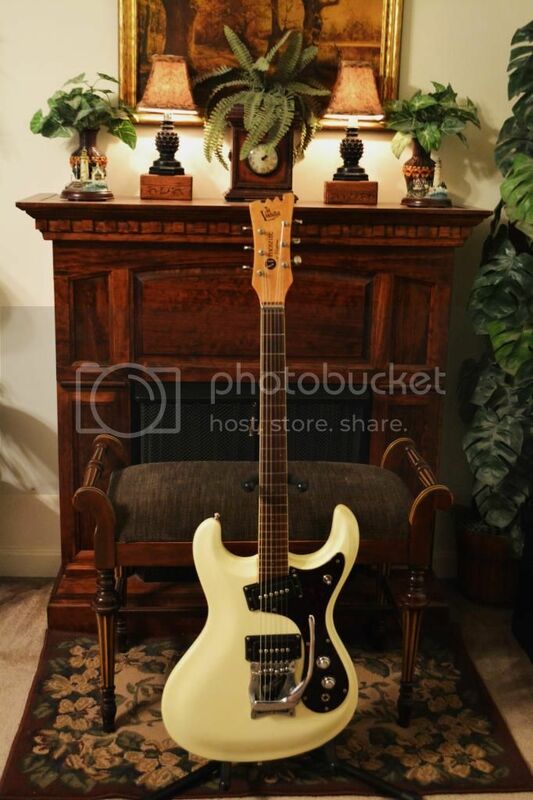 The guitar pictured here is all original, with its beautiful Pearl White finish, meticulously restored to like-new condition by the Master Luthier himself, Bob Shade! It's an exceptional player, and it sounds and looks absolutely "Mosrite-amazing"! During my visit, I also had the opportunity to check out one of Bob's Hallmark Model 60 Custom guitars. As a player of over 50 years, as well as an active guitar collector for most of those years, I was really impressed with the Custom 60's super high quality build, its comfortable player-friendly action, its vintage surf- guitar sound, and its overall classic Mosrite vibe! It was quite obvious to me that Bob definitely knows what it takes to build a super guitar and, surprisingly, at a price point that makes it very affordable! For the record......I'm looking forward to soon becoming the owner of my very first Hallmark Guitar! He's a great guy to talk to, and he'd be glad to answer any of your questions! By the way, if you're interested, Bob still has a number of early Vintage Mosrites that he may be willing to part with! Give him a call......you just may find something that will satisfy those never-ending "GAS" issues!! Hey Ron and welcome to the forum! Ron is one of the nicest dudes I have ever had the pleasure of having sold a guitar too. 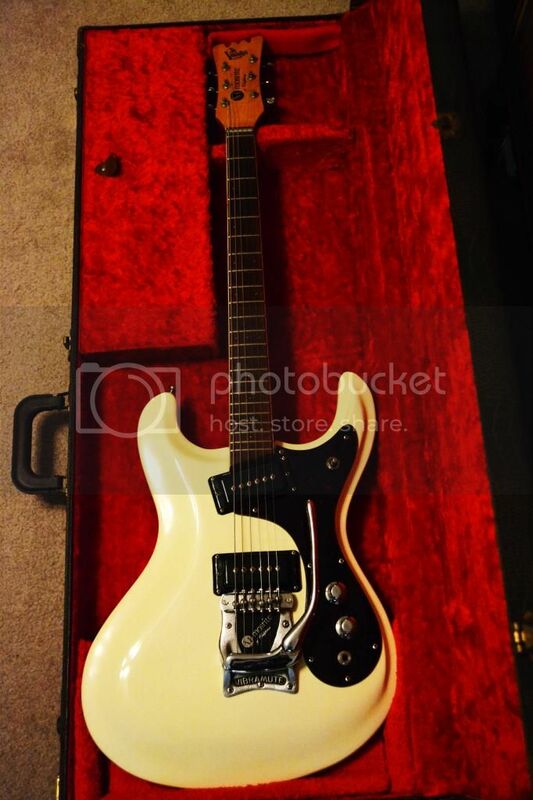 A super enthusiast and great addition to the forum with his 1964 Mosrite super clean Pearl White guitar! That beauty looks completely mint. Does it feel like a 'new guitar'? ElTwang wrote: That beauty looks completely mint. Does it feel like a 'new guitar'? The guitar is really close to "mint", considering it's a half century old. It has only a few discrete imperfections, and it pretty much plays like a "new" guitar, but with that coveted "broken-in" vintage feel! She's really a beautiful guitar.......and definitely a "keeper"! Thanks again to my buddy, Bob Shade! Wow, stunning beauty! 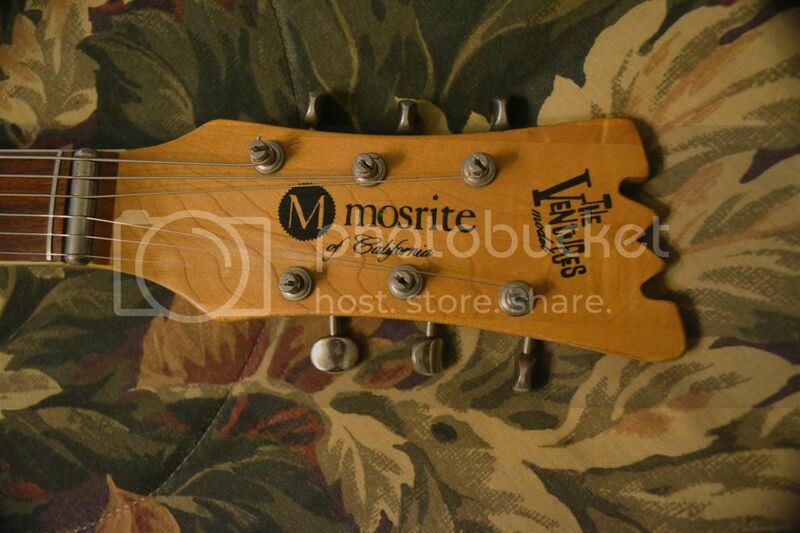 This is exactly how I like Mosrites.